Bhubaneswar, Jan 30: A large group of enthusiastic students from Saraswati Shishu Bidya Mandir, Bhimtangi, Bhubaneswar, visited on Friday the informative exhibition on IndianOiI’s 11th Refinery at Paradip, which shall be dedicated to the nation by Hon’ble Prime Minister of India Shri Narendra Modi on Feb 7. The students participated in an interesting quiz on the achievements of Indian oil and gas sector since independence and the winners were given prizes. Miss Archana Swain of class 7th, Master Ranjan Kumar Hota of class 9th and Master Paras Ranjan Pati of class 9th were stood 1st, 2nd and 3rd respectively in the quiz competition. 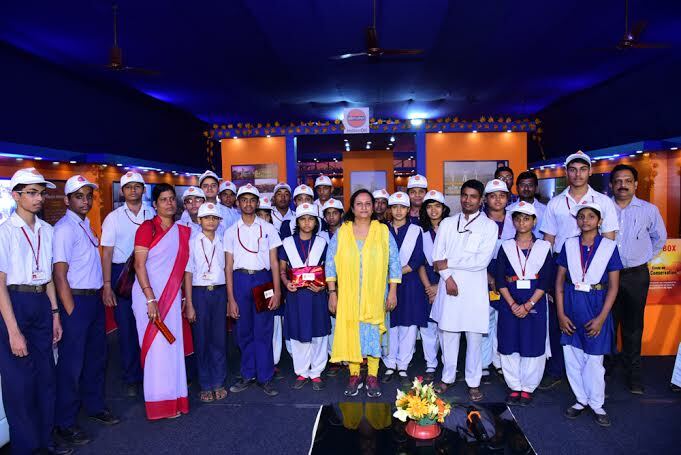 Students learned about the special construction efforts and the world-class technology installed in the Paradip refinery as well as the growth of IndianOil over the last 50 years and more. They were also told about the value of conserving fuel to save precious resources of the Nation. 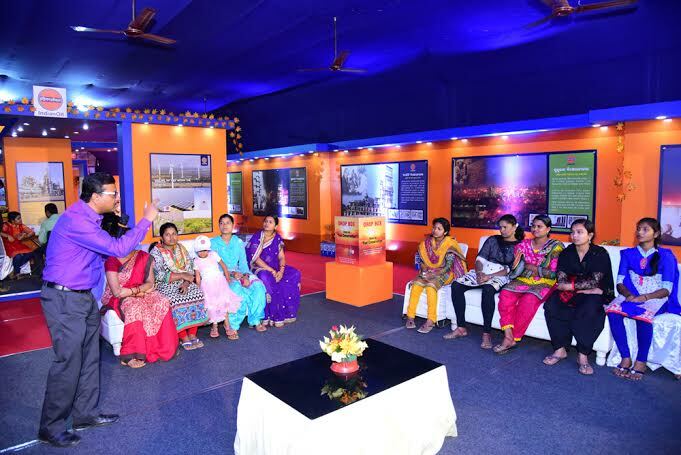 Similarly a group of ladies including housewives and young girls from Dumduma Housing Board Colony, Bhubaneswar, also visited the exhibition and were given a talk on safe use of LPG domestic gas and won prizes for answering questions on safety and energy conservation. Ms Rubi Parwin won the first prize, Ms Sajida Khatun won the 2nd prize and Ms Suchitra Behera stood 3rd in the quiz competition. Representatives from IOCL, Paradip Refinery and PCRA were present and conducted the quiz competition today. It may be noted here that, some more student activity programmes are also scheduled to be held on 30th and 31st January 2016. Drawing and quiz competition are scheduled to be held on 30th January 2016 from 3 PM onward. An inter-school debate competition on the topic “Fuel & Energy Conservation” is scheduled to be held on 31st January 2016, Sunday at 2 PM at the exhibition venue at Durga puja ground, Saheed Nagar, Bhubaneswar. On the same date, an inter-school drawing competition is also scheduled to be held at 12 o’clock on the theme “Fuel and Energy Conservation”. Interested participants can take part in the said competitions. An essay competition is also being conducted on the theme “Fuel and Energy Conservation”. Students want to participate can drop the essay write up in Drop Box placed at exhibition venue by 30th January 2016, 3 PM.